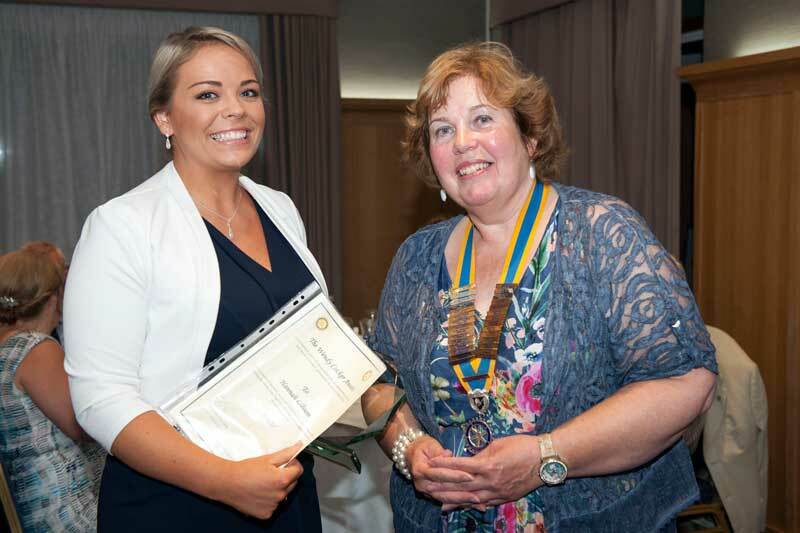 The Rotary Club of Senlac’s Wendy Cocker Award for Endeavour has been awarded to Hannah Gibson, a staff nurse at the Conquest Hospital, Hastings. 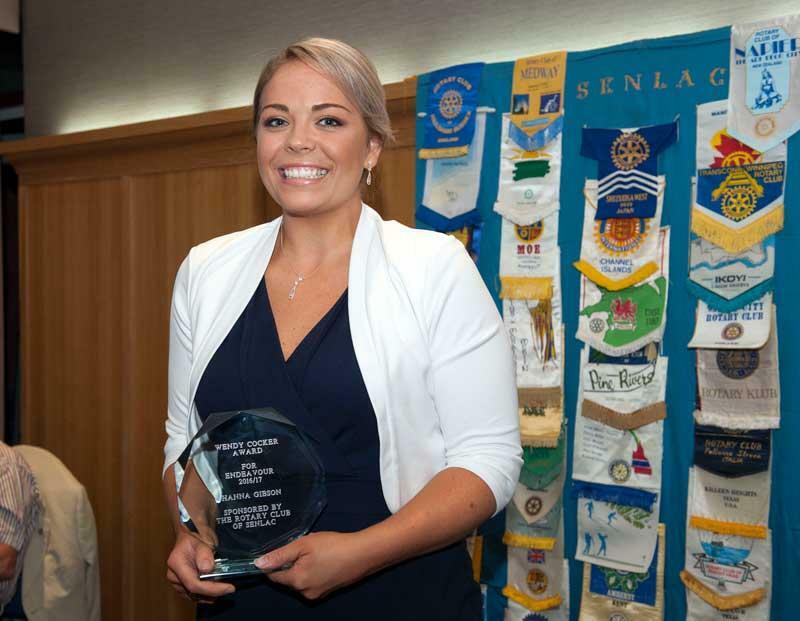 Hannah is part of Senlac Rotary’s Yellowmen Team which visits the Pokot tribe in North Kenya twice a year and over the past twenty years has constructed two clinics, school buildings, accommodation for students, provided desperately needed drugs and advised on education and health care. 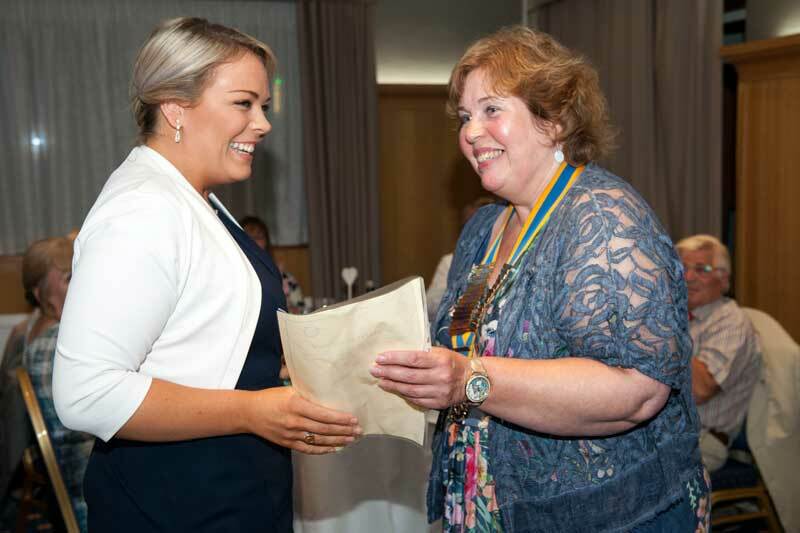 Hannah has visited Kenya on three occasions and, after the second, was determined to help the local nurse, Stephen, who devotes his life to his job. Many of Stephen's patients live tens of miles away and the only way Stephen could reach them was by foot, a time consuming exercise. After her second visit Hannah was determined to make life easier and more productive for Stephen and decided that the Yellowmen would provide Stephen with a motorcycle and that she would raise the funds to buy one. Hannah recruited and motivated a small team to join her in a 40 mile walk from Brighton pier to Hastings pier and this walk took place in August 2016. Despite blisters and great discomfort Hannah and her team completed the walk and raised nearly £2,500 which has now been used to buy a motorcycle and equipment for Stephen. The motor cycle was presented to Stephen during the Yellowmen’s visit in February this year. The club would like to express their thanks to all those who took part and made their contribution to achieving Hannah’s goal.